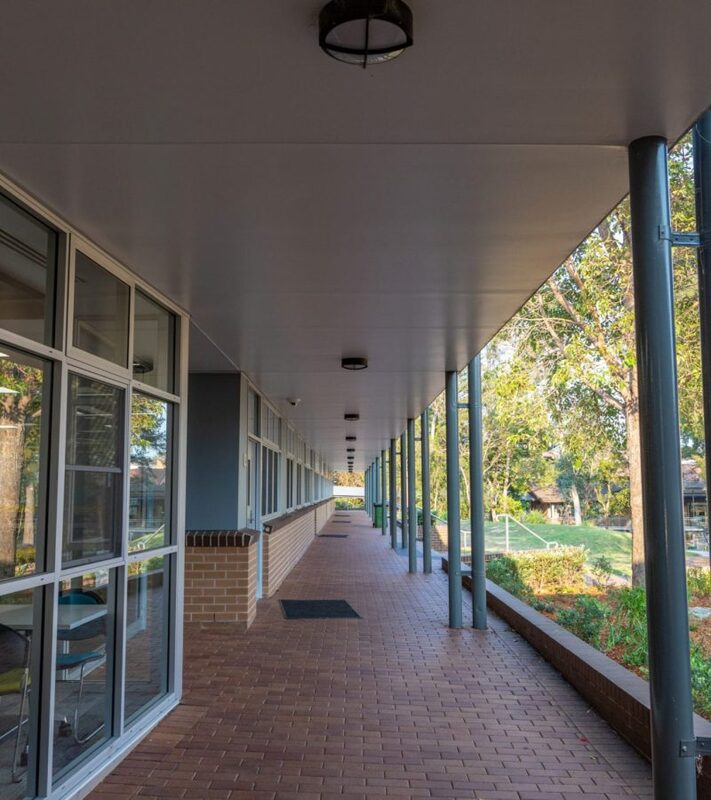 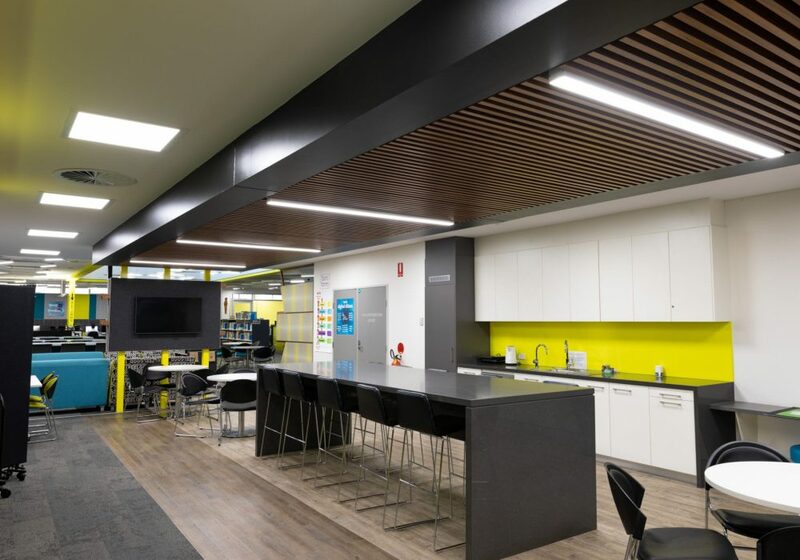 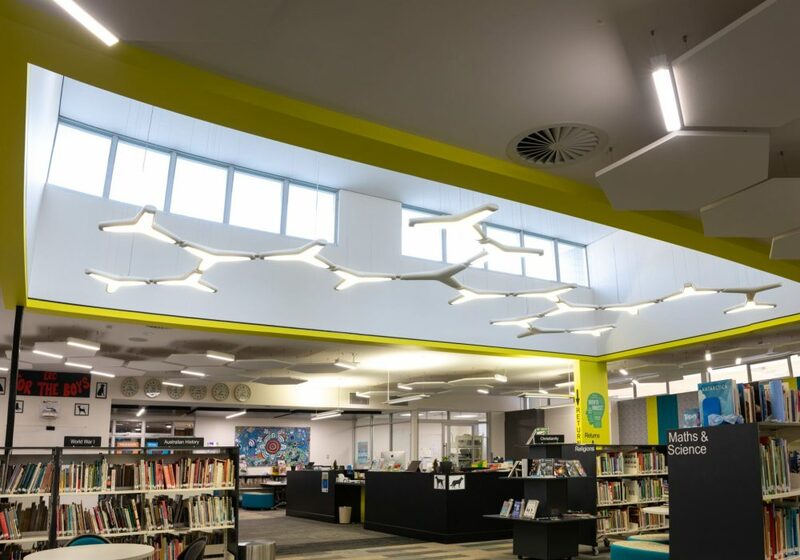 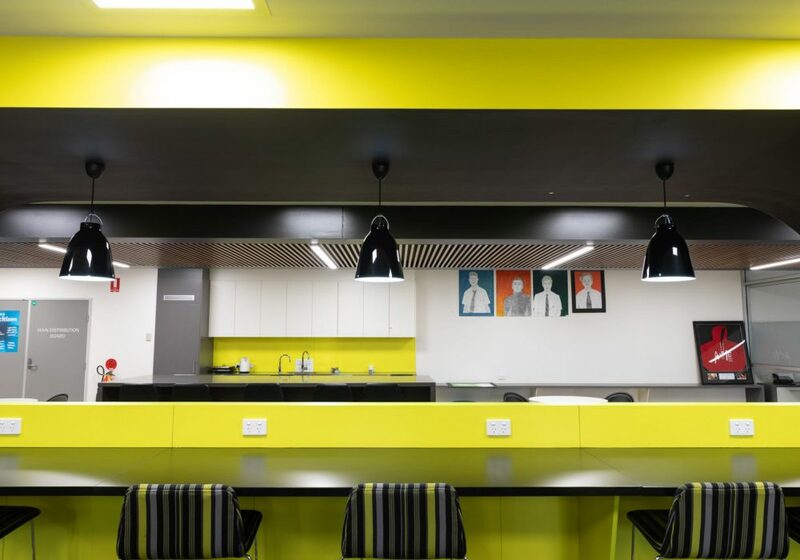 Edmund Rice College’s Narandha Learning Centre involved the transformation of the school’s traditional library into a series of flexible, dynamic light filled learning spaces. 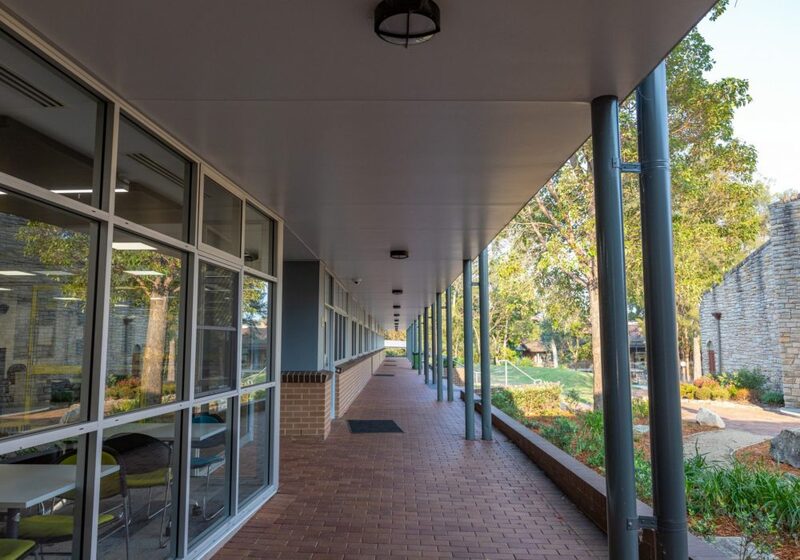 It also provided the opportunity to construct two new general learning areas (GLA’S) and specialist Music Rooms as a part of the school’s now maturing Arts Precinct. 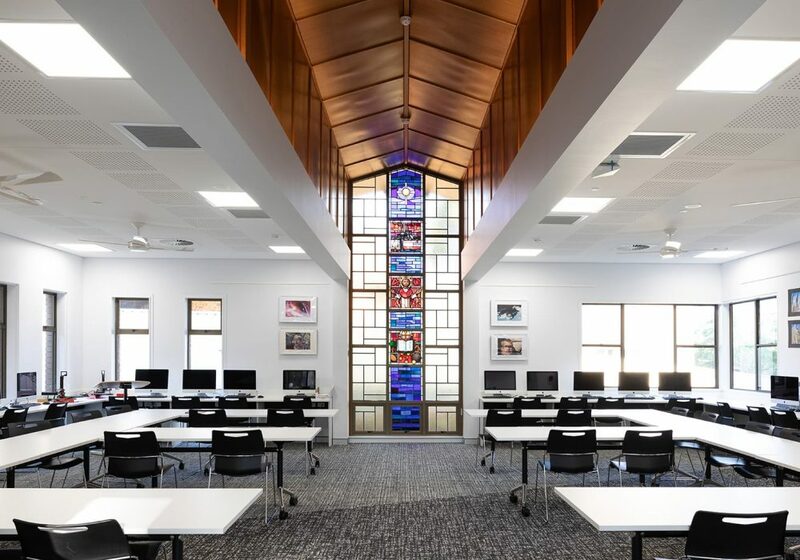 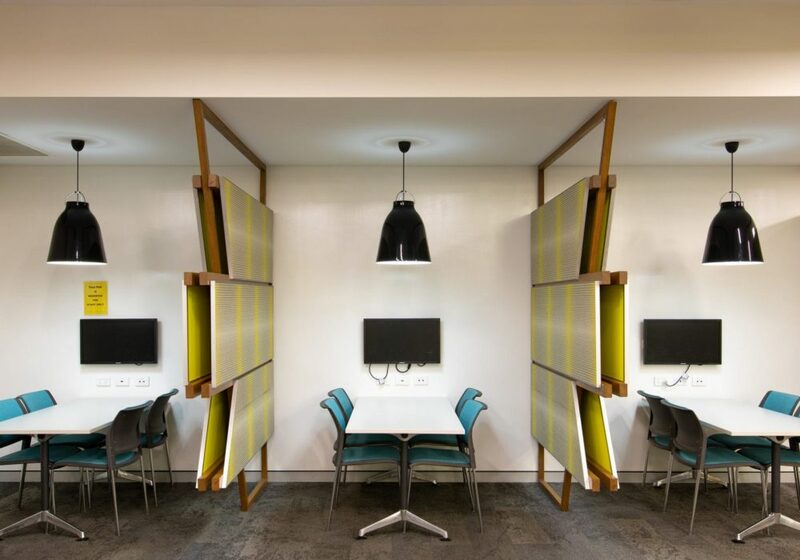 In response to evolving pedagogies and rapid technology development changing the way students learn, the school’s brief was to convert its existing library into a learning centre for the 21st century. 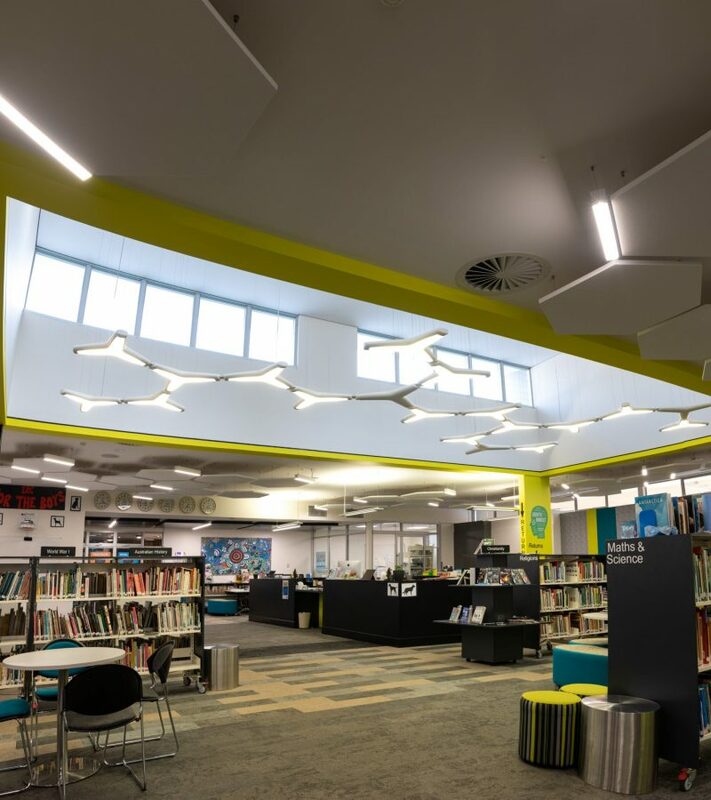 The existing library location was right - at the centre of the campus. 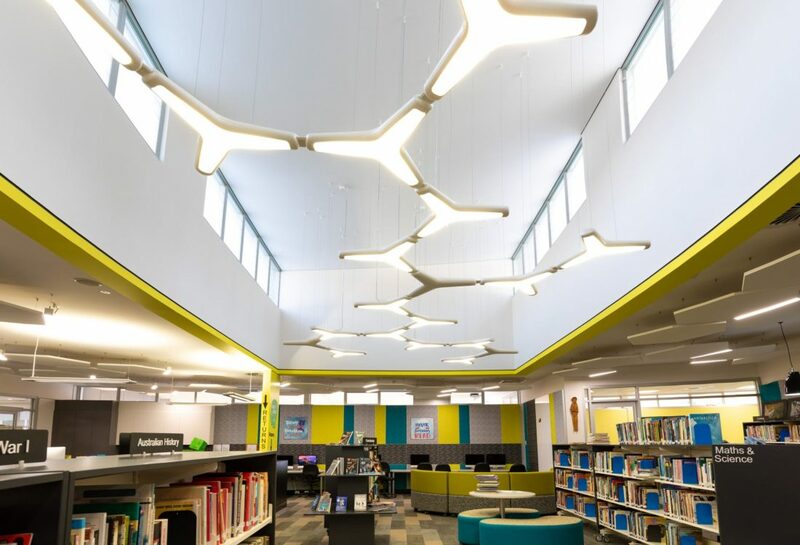 What was required was a variety of spaces for different modes of learning and the installation of technology to allow the students to connect with each other and necessary external learning resources. 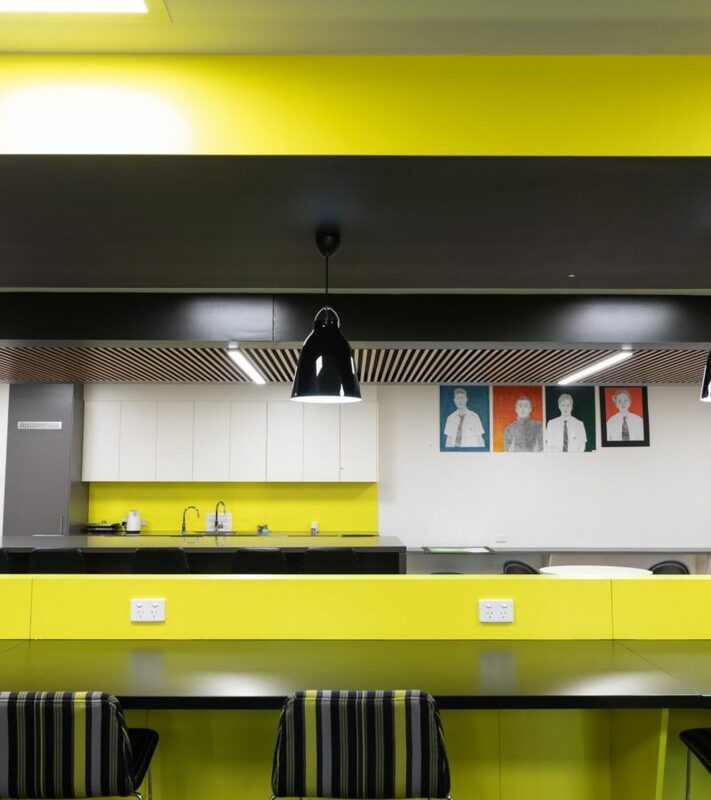 ...visual services. 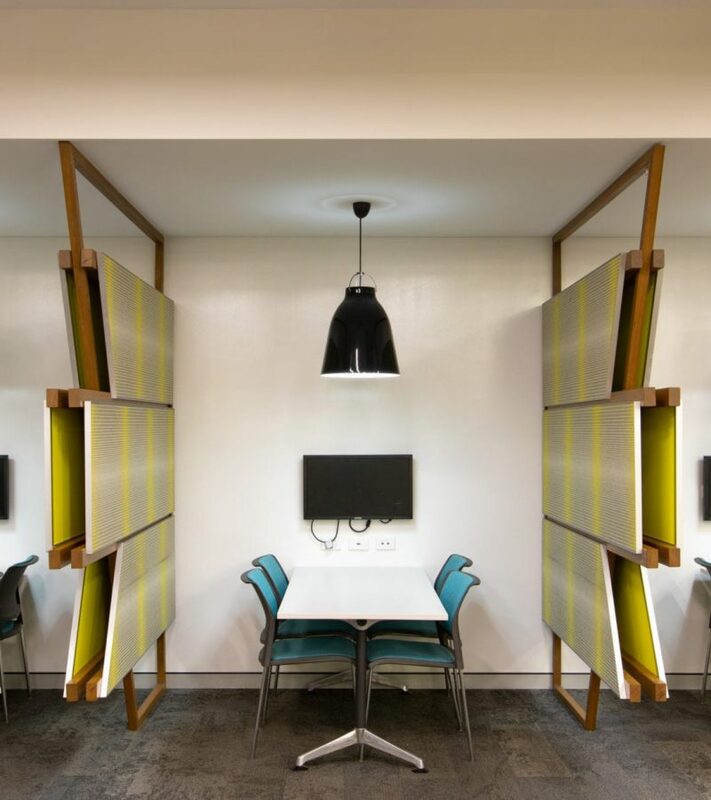 Linked to the Learning Centre are two interconnected GLA’s with dividing acoustic glass partitions and sliding doors. 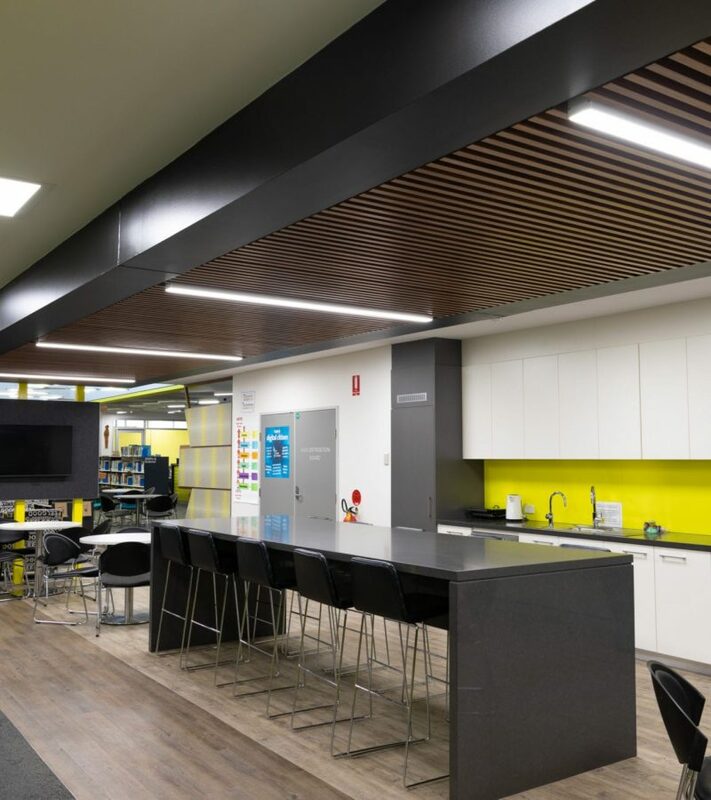 These flexible, connected spaces with round student tables promote collaborative student focused learning and have the ability to bring class groups together to work in a single group. 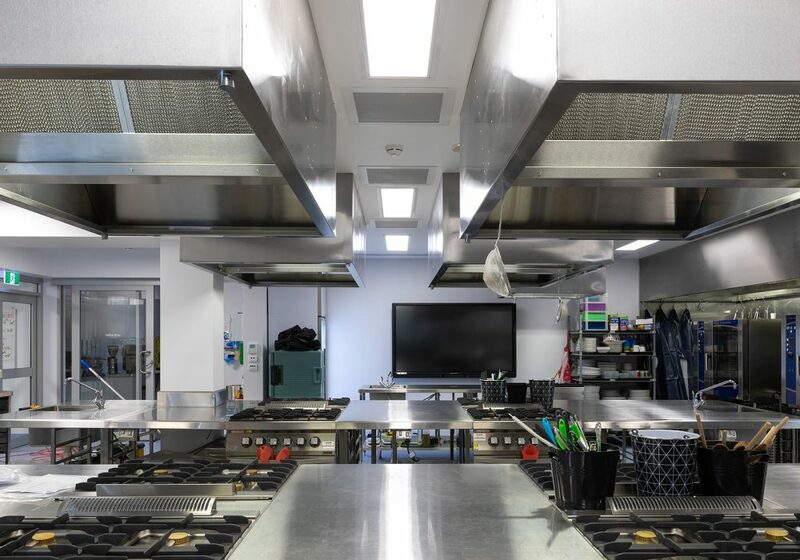 Specialist Music rooms with sound proof practise rooms, removable performance stages and instrument storage complete the facility.